* This is the first of four installments on the birth and development of the credit card industry as we know it today. 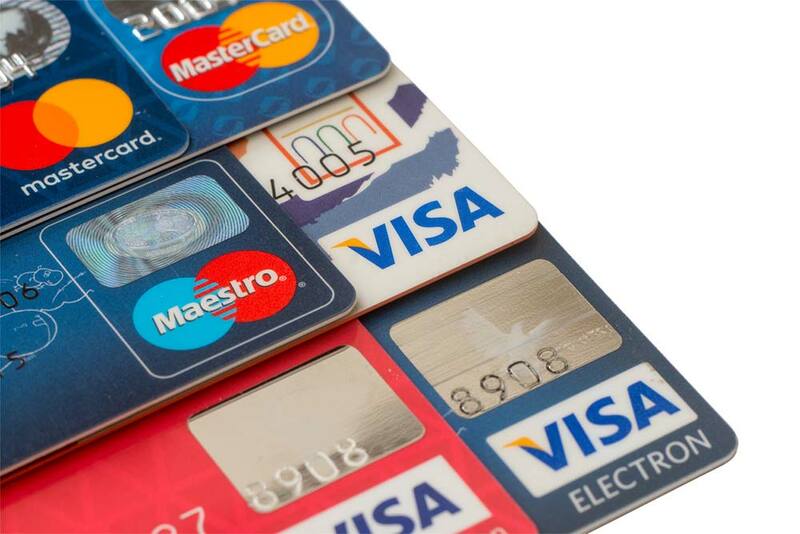 Although Visa is widely thought of to be the first credit card, it is not. However, as the largest card brand in the world, our series begins with Visa. 1958 – Visa was born in Fresno, California by Bank of America. Initially, Bank of America sent 60,000 unsolicited credit cards. The original idea was the brainchild of the Customer Services Research Group, and its leader, Joseph P. Williams. Williams convinced senior executives in 1956 to let him pursue what became the world’s first successful mass mailing of unsolicited working credit cards to a large population. Williams’ pioneering accomplishment was that he brought about the successful implementation of the all-purpose credit card to the market. By the mid-1950s, the typical middle-class American already maintained revolving credit accounts with several different merchants such as Sears Roebuck and JC Penney. This was deemed inefficient and inconvenient due to the need to carry so many cards and pay so many separate bills each month. The need for a unified financial instrument was already evident to the American financial services industry, but no one could figure out how to do it. There were already charge cards like Diners Club which had to be paid in full at the end of each billing cycle. There were at least a dozen attempts to create an all-purpose credit card. However, these prior attempts had been carried out by small banks which lacked the resources to make them work. Williams and his team studied these failures carefully and believed they could avoid replicating those banks’ mistakes; they also studied existing revolving credit operations at Sears to learn why they were successful. Fresno was selected for its population of 250,000, big enough to make a credit card work, small enough to control initial startup cost and Bank of America had a 45% market share of consumer banking. That town was relatively isolated, to control public relations damage in case the project failed. The 1958 test at first went smoothly, but then Bank of America panicked when it confirmed rumors that another bank was about to initiate its credit card beginning in San Francisco, the home town of Bank of America. By March 1959, credit card distribution began in San Francisco and Sacramento; by June, cards were being distributed in Los Angeles; by October, the entire state had been saturated with over 2 million credit cards, and BankAmericard as it was then known was being accepted by 20,000 merchants. However, the program was riddled with problems, as Williams (who had never worked in a bank’s loan department) had been too earnest and trusting in his belief in the basic goodness of the bank’s customers, and he resigned in December 1959 as 22% of the accounts were delinquent, not the 4% expected, and police departments around the state were confronted by numerous incidents of the brand new crime of credit card fraud. Both politicians and journalists joined the general uproar against Bank of America and its newfangled credit card, especially when it was pointed out that the cardholder agreement held customers liable for all charges, even those resulting from fraud. Bank of America officially lost over $8.8 million in the launch of BankAmericard, but when the full cost of advertising and overhead was included, the bank’s actual loss was probably around $20 million. The original goal of Bank of America was to offer the BankAmericard product only in California. But, in 1966, they began to sign licensing agreements with a group of banks outside of California, in response to a new competitor, Master Charge (now known as MasterCard) which had been created by an alliance of several other California banks to compete directly against BankAmericard. Over the next 11 years, various banks licensed the card system from Bank of America, thus forming a network of banks backing the BankAmericard system across the United States. The distribution of unsolicited credit cards continued unabated, thanks to Bank of America, its licensees and even competitors, until they were outlawed in 1970.